Kaizen events are highly focused, rapid improvement activities. Photo by Rick and Elizabeth Peters. Horticulture businesses across the U.S. are deploying Lean, a proven method for eliminating waste that results in more value to customers, delivered at a lower cost, in a shorter time, with fewer defects and less human effort. 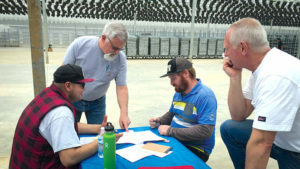 A handful of Oregon and Washington companies, however, are taking this even further by forming consortiums to sustain Lean over the long-term. How Does a Lean Consortium Work? A Lean consortium is a small group of companies that work together to learn Lean principles and methods, and then apply them to processes in each other’s businesses. Each company engages three people who are trained and serve on improvement events at different facilities throughout the year. These kaizen events (highly focused, rapid improvement activities) involve direct, hands-on changes at the hosting company with a professional facilitator. The team makes rapid changes to immediately gain improvements. The Oregon Lean Consortium members are Smith Gardens (Aurora), Marion Ag Service, Robinson Nursery, Eshraghi Nursery, JLPN Liners, and Weyerhaeuser. When this group met last spring at Smith Gardens to look at staging for the shipping process, it improved productivity by 122%, cut operator travel by 97%, and reduced the crew size by nearly 30%. The Oregon consortium opened up to suppliers last year. The group assisted Marion Ag Service, one of the region’s major fertilizer providers, as it created new standard work for fulfilling sales orders. The event team cut process steps by more than half, reduced rework by 92%, and improved the value-added ratio by 112%. Corey Hill, Head Grower at Skagit Horticulture’s Mount Vernon, WA, operation, served with the Oregon consortium one day last spring at Robinson Nursery to advocate for starting a consortium in Washington’s Puget Sound region. The Washington Lean Consortium was launched last July with Skagit Horticulture, T&L Nursery, Botanical Designs, and Skagit Farmers Supply. The dynamic new team has already held five events showing significant gains across a range of business processes. 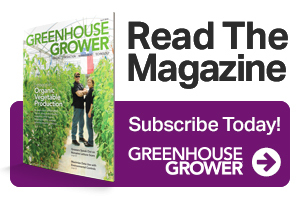 Its first event focused on a sedum harvesting process at one of Skagit Horticulture’s Mount Vernon sites. One team doubled productivity and another improved by 40%. A third team increased units per worker hour by 67% and cut people travel by 3,000 feet. The Washington consortium’s most recent event focused on a truck loading process for Botanical Designs, a high-end commercial interior and exterior landscaping company in Seattle. The team eliminated the need for staging, combined pulling and loading (plus reduced that time by 63%), and set up a process to discontinue misses and errors, catching any problems right at the source. The lead-time to load a truck was reduced by 98%. Rick and Elizabeth Peters ([email protected]) help horticulture companies make dramatic improvements in productivity, safety, quality, teamwork, and cost by applying Lean. They can be reached at 503-250-2235, or visit www.petersco.net. See all author stories here.